How did these boxes fasten? String seems obvious (and explains why it is missing) but I wonder if there was some special something to do the trick. Secondly, the camera and ERC fit nicely but would it have been protected with a layer of corrugated cardboard? 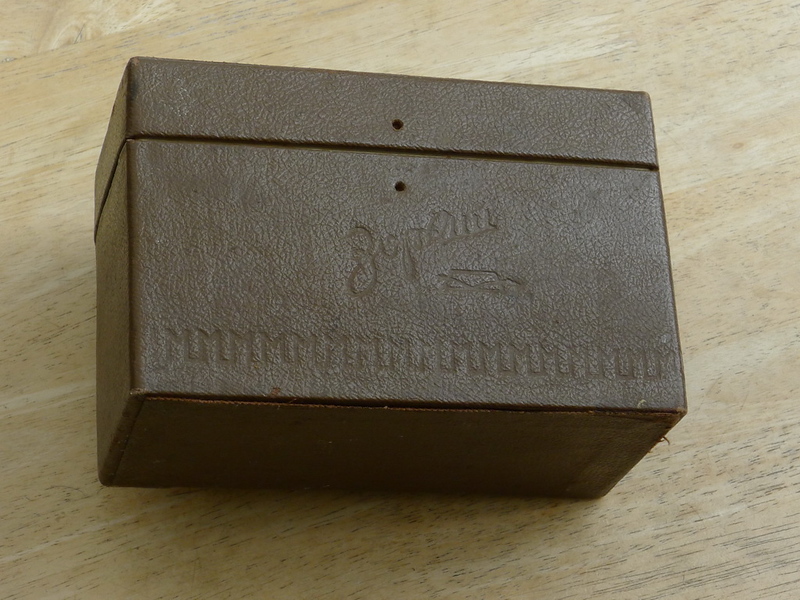 All the images I find on google of these Zorki boxes show only the holes, but no cord or other locking mechanism. I guess a cord was used as a sort of 'first sale' seal. If I remember correct, it was string with sealing wax seal. Our family FED-2 box is the same. The string has disappeared because in Soviet Russia it was very difficult to get spaghetti. And very easy to get FEDs and Zorkis. The old joke about communism from Poland (which I may have recounted here before) was that "Before communism, shops read Butcher on the outside sign and all you found inside was meat. Now under the communists the same shops read meat on the outside sign and all you find inside are butchers." Two brass spit pins through the box and then those fibre washers, as seen on old legal box files...bit of string winds round...maybe? plastic or lead filling, sealing wax crumbled, therefore it was placed on a plane, did not hang on threads. Peter M, your own joke was off the taste. During holodomor people eat roots. And in Leningrad people eat people. In Russia they have a word for letter M.
You could install something like the Billingham closures, large snaps that are available at most hardware stores. That's what I meant but to quote the Kiev Survival Site, the string would have been Yak string. I’m almost certain you’d need bigger string than that to tie up your yak. 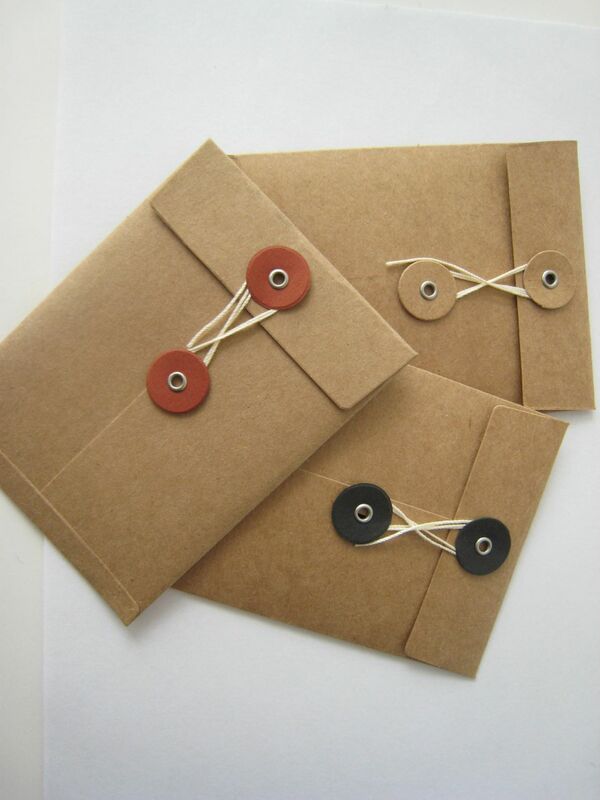 I used to use the twiddley/twisty fasteners years and years ago; the picture took me back. But I remember how they failed and the boxes I've seen are too pristine. At the moment my money's on string and one of those metal crimped seals or similar. Stationery (or stationary) closures are an art form in themselves, like film we must ensure they survive in the digital age...stand up those with a Gestetner Operators Proficiency Certificate! By the way, my wife who is Russian just told me that "Zorki" means something like, to quote her very rough attempt at explanation: "....to be very good with your eyes and see far away and not miss anything" As rough as that explanation is of what the word "Zorki" connotes I suppose its not an altogether bad name for a camera if you happen to speak Russian. If you think it is unusual to have such a comparatively lengthy explanation that's because you do not know my wife. I think her motto is never use one word when 350 will suffice and even better if double that number can be contrived to be used. I am not sure if this is a Russian tendency or just that of my wife. Doesn't "Laika" translate to "Traveling companion"? Man, I would love to own a string of Yaks. Imagine the kids who would come to ride them! through those holes passed a string, held by a lead seal impressed with the factory's final quality control office that accepted each finished/packed camera for delivery to stores. I've found this discussion, both interesting and hilarious. The difference between men and boys, is the price of their toys.